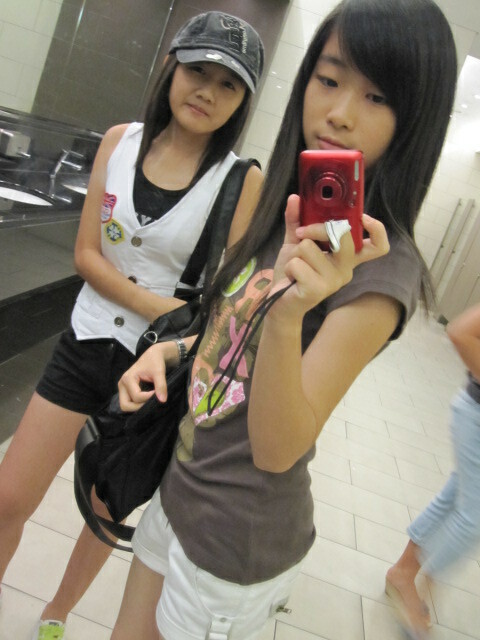 MomoJiaa invited me to watch a movie with her @ Pavilion. So, that movie was a bit toy town in my opinion initially. But, I just simply love the story of the movie. To be frank, this movie is much better than the what? Haunting Lover? Ew! Teeeheee! 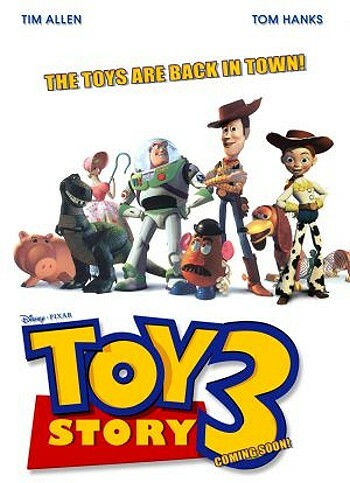 Let me introduce this today's special : TOY STORY 3 ! There are many characters in this movie. 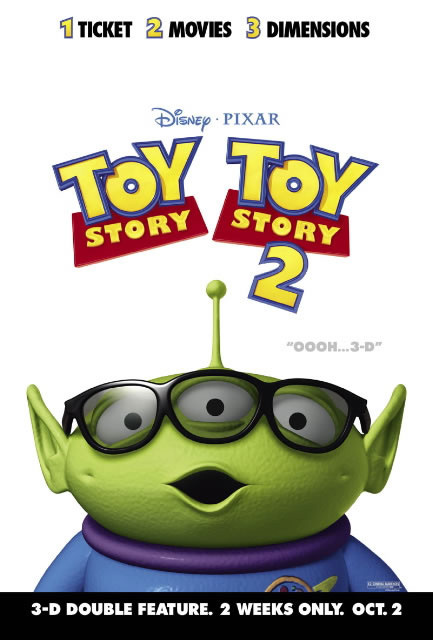 Most of them are hailed from the movie Toy Story 1 and 2. There are some more minor characters who are the bad hats. I never know that the pink colour bear with Strawberry smell is really a hypocritical character! Ew. Bears should be cute right? Haha. The character I like the most is Squeeze Toy Aliens a.k.a. 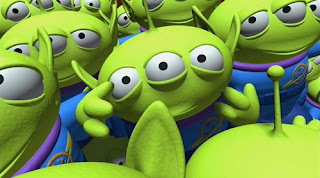 the LGMs (Little Green Men)! They are really cute with three eyes on their face. Oh! Their voices are freaking adorable! Normally they don't talk. They just produced sounds like, " whoooo waaaaa". LOL. Besides, there are still many characters like Woody, Buzz Lightyear, Rex, Hamm ( The piggy bank ), the Slinky Dog, Mr and Mrs Potato Head, Barbie and more! I wonder, how on earth the producers of this movie can be so creative of thinking so many toys and their characteristics? Plus, the producers have been really doing a great job on building up their special characteristics. Everyone of them has their own boldness and cuteness and beauty and so on!! I love the ending of this movie. It was so touched when Andy, the toys' owner, passed his beloved toys to a new owner, who is Bonnie. I felt pleased that Woody and his friends got a new owner who will take care of them and not like those children in SUNNYSIDE DAY CARE! 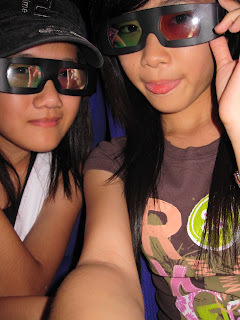 We watched the movie in 3D version. 3D glasses are provided to us to watch the 3-Dimension movie. Oh! It was quite an enjoyment while watching the movie with popcorn on your hands then to your mouth. It's time for me to practice my piano again!